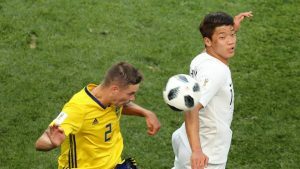 When it came to previous records, South Korea had lost 4 times against Sweden. But, the South Koreans showed their intent to win by not letting Sweden score a single goal in the 1st half of this match. Due to their lack of shots at Sweden’s goal post, South Korea also didn’t score and the score at the end of the 1st half was 0 – 0. The 2nd half went underway, as both teams continued with their attacks in search for a goal. Sweden got lucky as they were awarded a penalty. 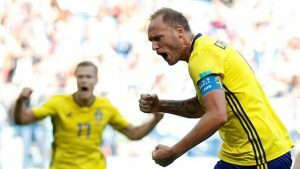 The Swedish captain Andreas Granqvist took the shot and scored at the 65th minute to put Sweden in front. Sweden were now in the lead. South Korea needed an equalizer but their lack of shots on target cost them the match as no goal was scored after this one. And with this, South Korea lost their opening match of this World Cup. 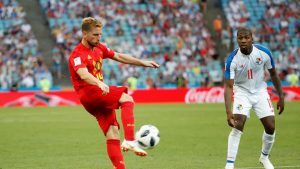 Belgium and Panama faced each other for the very first time in a World Cup match. With Belgium the clear favorites to win this match, it was quite surprising to see how excellent Panama were looking in their defending skills. So, much so that despite Belgium giving it all in the 1st half, no goals were struck by their attackers. And, the 1st half ended with the scores being 0 – 0. But, scoring a goal was only a matter of time as in the 2nd half, Dries Mertens dipping volley put Belgium in the lead. Panama became restless and it became obvious as right after this goal 3 of their players got a yellow card from the referee. 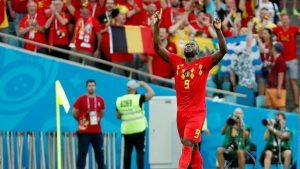 Nevertheless, Belgium continued with their attacks and finally another goal was struck by Lukaku. The Belgium national converted an assist from De Bruyne and doubled his team’s lead. 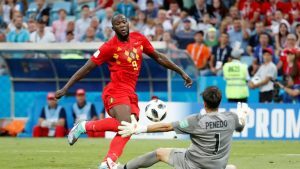 With only 15 minutes to go, Lukaku returned and tripled Belgium’s lead with an excellent header as Hazard completed yet another assist from his national team. 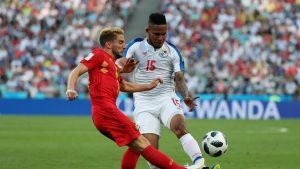 In the dying minutes of this match, Panama looked to save face but, Belgium were equally impressive in their defending skills as the match ended with the final score being 3 – 0. With this win, Belgium started their FIFA World Cup 2018 campaign with a win. Superb volley by Dries Mertens. Liverpool should trigger the release clause of Dries Mertens. England’s started the match to keep their record intact of never losing against an African team in the World Cup. The English were now in the lead by 1 – 0. And, Tunisia were now in search for an equalizer. Tunisia’s good luck answered at the 33rd minute when England’s Kyle Walker was given a yellow card in the box. This awarded Tunisia with a penalty which was taken and scored by Ferjani Sassi and the scoreboard was now level. Tunisia levels up the score with a converted penalty kick from Ferjani Sassi! No further goals were scored in the 1st half as it came to an end with the score being 1-1. 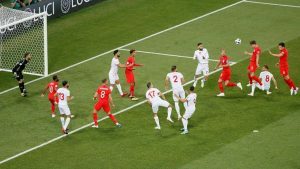 In the 2nd half, Tunisia’s defensive play was impressive to the point where England weren’t being allowed to score whatsoever. The match was coming in its dying moments and this is where Harry Kane struck another goal with a brilliant header. This goal was more than enough to put English in the lead as they won the match by 2 – 1. Only one #ENG player has ever scored an injury-time winner in a #WorldCup game. 996,773 – Number of people wondering if England would have won Euro 2016 if Harry Kane wasn’t taking corners. Woy. 80% of England’s training sessions are the entire team practicing how to jump on Harry Kane in celebrations without killing him. He is a football playing robot who would probably fail a Turing test but I love him more than anything. Join allsportspk for the next matches of the ongoing FIFA World Cup 2018.